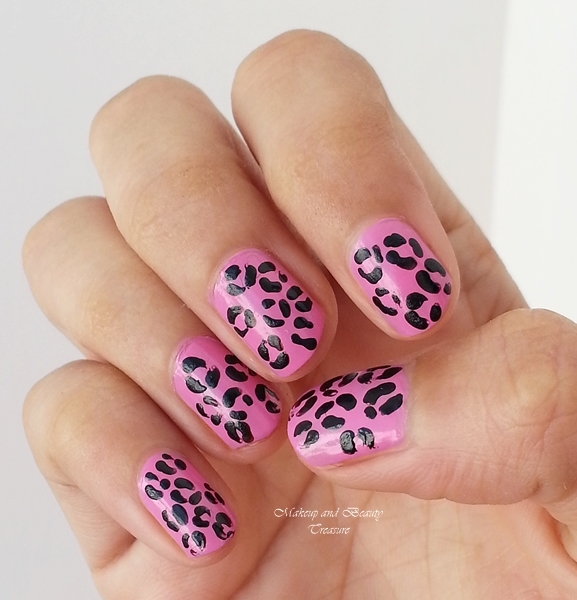 I did leopard print nail art on my blog twice. If you want to check them, HERE and HERE are the links! I am obsessed with animal print nail arts! I have cut my nails short and thought of doing simple leopard print nail art using only a single tool- nail art dotting tool! I have also organized a giveaway so do not forget to scroll till the end! I got Stay Quirky Nail Polish in Fab Bag and have been using it a lot! It is quite girlie light pink color and makes my hands look fair and delicate! - Apply the base coat to prevent your nails from getting stained! I had used LYN Base Coat! - Apply two coats of Stay Quirky Nail Polish and let it dry completely! - Draw incomplete circles using a medium sized nail art dotting tool! I had used Maybelline Blackout Nail Polish to draw the prints! Let it dry! - Apply the top coat and voila you are ready to rock your nails! I had used LYN Top Coat! Isn't it super easy? You can do this nail art in 10 minutes and you do not need to be a nail art expert in doing this nail art design! Do share the pictures if you try this design at home! I would love to see it! I am planning to hold giveaways quite often as I really can't thank you guys enough for all the love and support you are showering on me and my blog! I will keep the rules pretty simple so everyone can enter! There will be only ONE WINNER and this giveaway is open for India only! The lucky winner will be winning products worth Rs 2500! You must follow Makeup and Beauty Treasure on Instagram, Facebook and twitter! All other entries are optional and would help you to increase your chances of winning! Good Luck! Do email me if you have any doubts! yes Jayanthi and i love reading your comments! thanx for loving my blog! Really nice manicure, I start t like the animal print too. It is lovely to see bloggers do giveaways, it is very nice of you. I too have a huge soft corner for animal prints. They just look too good! Nowadays I'm in love with NYX Soft Matte Lip Cream, Addis Ababa.. Its the beautiful pink everyday kinda shade,..
And now a days crushing over colorpop ultra matte lippies..